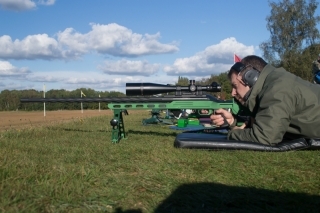 The Club holds regular Fullbore Target, ‘F’ Class shoots at Bisley National Shooting Centre. Smallbore, Gallery Rifle and Black Powder shoots, including benchrest, precision and speed which are held on a 25m Barrack Range at Old Sarum. 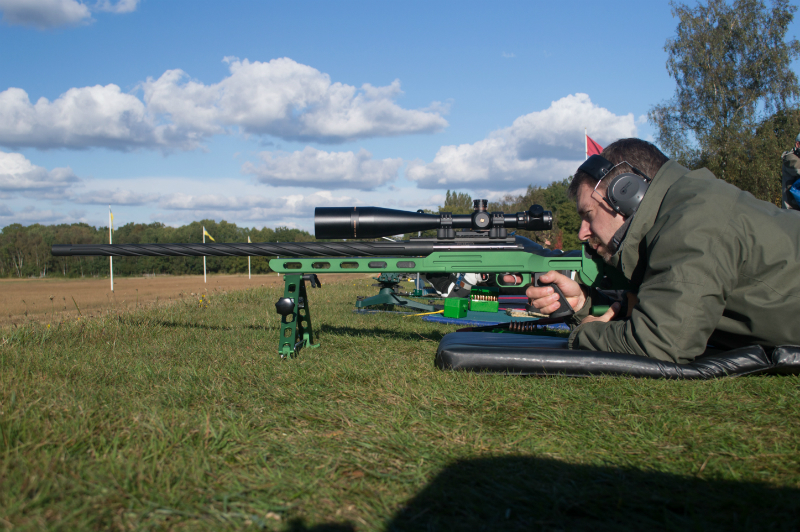 Members travel, once a month, to the National Shooting Centre at Bisley to practise and shoot competitions, at the longer distances. The Club permits the use of any firearm held on a member’s certificate, providing local Range regulations are adhered to. Some competitions, however, restrict the eligibility of the scoring. The Club holds centerfire and rimfire rifles for both target and sporting competitions, for use by our members and holds a maintained stock of ammunition. Ranges date through June 2019 are on the Meetings page. Scores up to November 11th are up on the Results page. Competition instructions are on the under the Club Information menu item. We have 3 new .22 and CF comps being introduced called ME1 – 3. 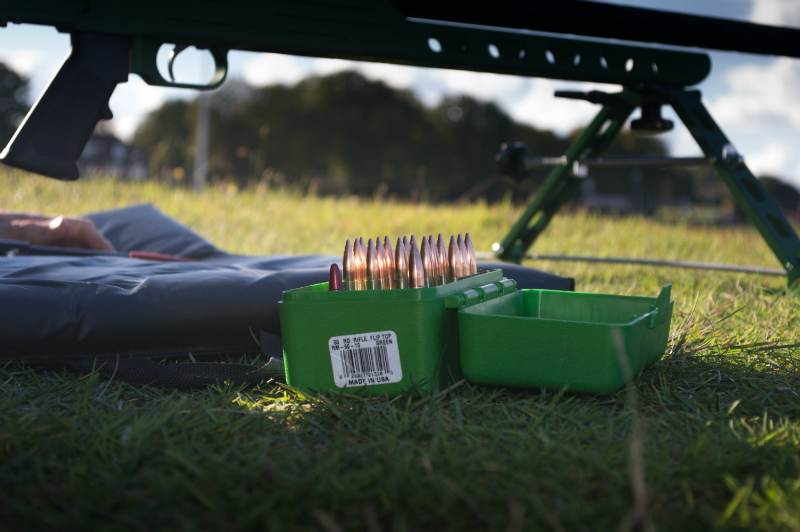 Instructions are on the Rimfire – CF Comps page. If you want anything advertised for sale to club members, let Ian Smedley know. All TRPC & Barbarians Horde members – We are closing the Facebook Group. We have decided to end our presence on Facebook and migrate to MeWe. MeWe is a newish social media platform with a fresh new approach and an openness to all sports including that of shooting. As Admins we have been fighting Facebooks ever demanding community standards policy which has been draconian towards our sport at best. 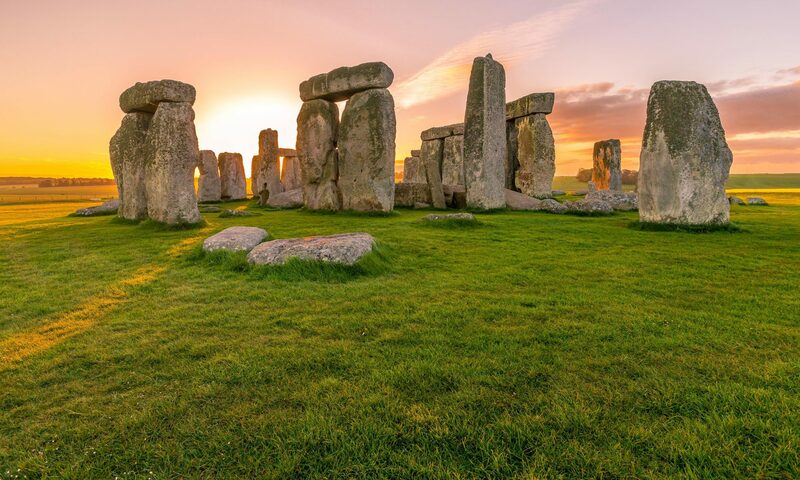 MeWe will allow us the freedom to run the page as we see fit in that we can advertise for sale our own legally held firearms and accessories without the ban hammer falling upon us. It’s a private page that only members will be able to view. It’s been decided to run on Facebook till the end of December which gives you all plenty of time to create your new MeWe account (which is very quick and easy!) and come join us on the new TRPC & BARBARIANS page which is already up and crawling! If you need any guidance ask either Chris Blackler or Ian Smedley. We hope to see you all in the brave new world of MeWe.Follow the link below to create your new MeWe account. F Class (Open)/F Class (TR) at 600yds. 1 min ‘blow-off’, 2 convertible sighters + 15 to count. Next Shoot: Tuesday 7th May 2019. Sporting 60-70 plus a flush. Meet at 10:00 to start shooting at 10:30. Get in contact with Ian Smedley or Chris Blackler if you want to attend. Club membership is now open. Please read how to apply on the Probation Process page. 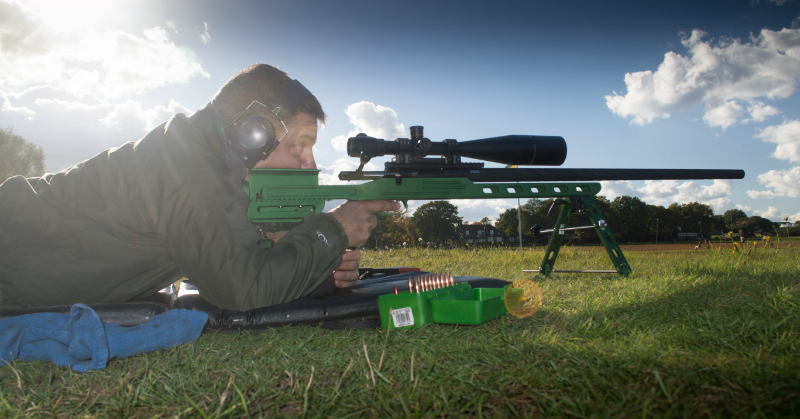 As from 6th April 2015, the cost of firearms grants and renewals have increased. There is growing interest in Practical Shooting competitions in the club. A few members have joined the PSA http://www.ukpsa.co.uk/ and have attended the Basic Safety Course. I attended the on one in Harlow at the end of November 2012 and had a great weekend of tuition and practise. The course starts with a morning classroom session with an overview of the sport and then a very detailed safety briefing. You then go to the range, split up in to groups and are assigned an instructor. The instructors take you through the various courses of fire, each time fully reviewing all the safety points. You repeat various exercise shooting steel targets at ranges from 5 to 15m. You get to practise speed, precision, different shooting positions including lying on your back and shooting from you weak shoulder (an interesting experience). 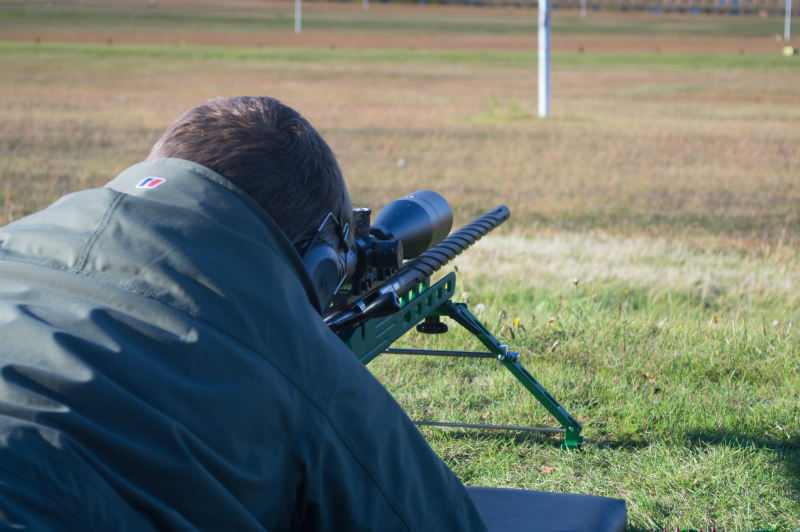 The next day starts early at the range with more exercises and then a mock competition shoot with a UKPSA Instructor and competition judge. This gives you a real feel of the pressures of a competitive shoot. You are under continual assessment and any safety infringement will result in a fail but the level of instruction was so high that no one failed the course. The most popular shotgun used was a semi-auto but my pump action easily kept up and never had a mis-feed. I can easily say it was one of the best shooting weekends I have ever had and would thoroughly recommend it. I passed the course and was also awarded an international competition license. I am now waiting until the weather warms up so I can go and enter some comps. Picked up my Dolphin Gun Company FTR on Saturday. 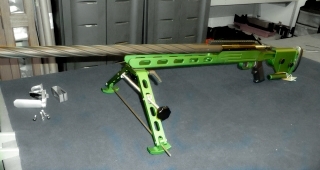 It has a 32″ 1 in 10 twist barrel which is spiral cut with a Barnard S action and Jewel trigger. The stock is Dolphins own which they CNC themselves. Mounted on a Dolphin Trakker bipod with a Sightron SIII 10-50×60 scope. Had it’s first outing on Sunday at Bisley and once sighted in was dropping rounds nicely in the 5 ring at 600 yards.